There are several different tests that you can use to better understand your cardiac output, health, and function. For example, standard cholesterol tests do not always identify that you are at risk. Also, poor blood sugar regulation and unhealthy triglyceride and lipoprotein levels often present long before the diagnosis of type 2 diabetes. 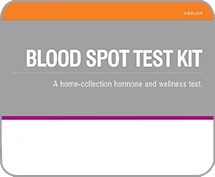 Our comprehensive range of Cardio-Metabolic at-home testing kits cover everything you need to ensure that your heart is healthy. This kit assesses the risks associated with type 2 diabetes and cardiovascular disease. It measures insulin, high-sensitivity C-reactive protein, total cholesterol, HDL and LDL cholesterol, hemoglobin A1c, and triglycerides (TG) using blood spot tests. HbA1c is a measure of glycated hemoglobin, which results from glucose binding to hemoglobin in red blood cells. A high percentage of HbA1c indicates that glucose levels have been elevated above normal levels for the past three months. It is a blood spot test. C-Reactive Protein is an established marker of inflammation; it can be an important contributor to several pro-inflammatory and pro-thrombotic elements of cardiovascular disease. High levels are associated with higher risk of type 2 diabetes and heart disease. This is a blood spot test. High triglycerides have been linked to obesity, insulin resistance and metabolic syndrome, coronary artery disease, and untreated type 2 diabetes. This is a blood spot test.